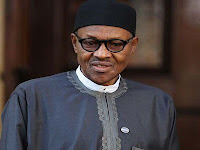 The All Progressives Congress in Ondo State has urged President Muhammadu Buhari to dissolve the board of the Niger Delta Development Commission (NDDC), following expiration of its tenure in December. In a statement yesterday in Lagos by the state’s APC Publicity Secretary, Mr Abayomi Adesanya, the party said the tenure of the board expired in December after a four-year term. APC said it frowned at what it called surreptitious moves by some “powerful persons at the Presidency” to elongate the tenure of the board beyond December 8, last year. The statement said: “Any extension of the tenure of the board is unconstitutional and an attempt to give Cross River and Akwa Ibom states undue advantage of serving for continuous period of six years, as chairman and managing director, to the detriment of other member states. “For the fact that it is the turn of Ondo State, as the fifth highest oil producing state in the country, to produce the next Managing Director of NDDC, President Muhammadu Buhari must compensate the people of Ondo State for their commitment to the Party (APC) and the victory of the President in the 2015 presidential election. The party urged the President to dissolve the NDDC board and appoint loyal and committed members of the party as chairman from Delta State and managing director from Ondo State.